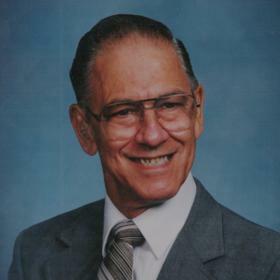 Mr. William "Bill" Parker, age 89, passed away Sunday, December 30, 2018. He was born in Muskegon, MI on September 13, 1929 to Leslie & Lillian (Gillman) Parker and served his country in the US Air Force. Mr. Parker had been employed as a welder at Shaw Box & Dresser Industries for 20 years. William was a member of Calvin Christian Reformed Church, was considered a die hard University of Michigan football fan, liked the Detroit Tigers & the Detroit Lions. Sons, Richard (Laura) Parker of Rochester Hills, Warren Parker of Richland, Phillip Parker of Kentwood; daughter, Kathryn (John) Predmore of Newark, OH; granchildren, Nathan, Nehemiah, Sarah, Emily, Trevor, Alexandria, Ashley; great grandchild, Jensen; brother, Jack (Janet) Park of North Muskegon; sisters-in-law, Joyce Bont & Nancy Avery. He was preceded in death by sister, Joyce Parker & brother, Thomas Parker. Monday, January 7, 2019, 11:00 AM with visitation one hour prior to the service at Calvin Christian Reformed Church with Pastor Mark Milkamp officiating. Internment in Norton Cemetery. Please visit www.clockfuneralhome.com to leave a memory or sign the online guestbook.